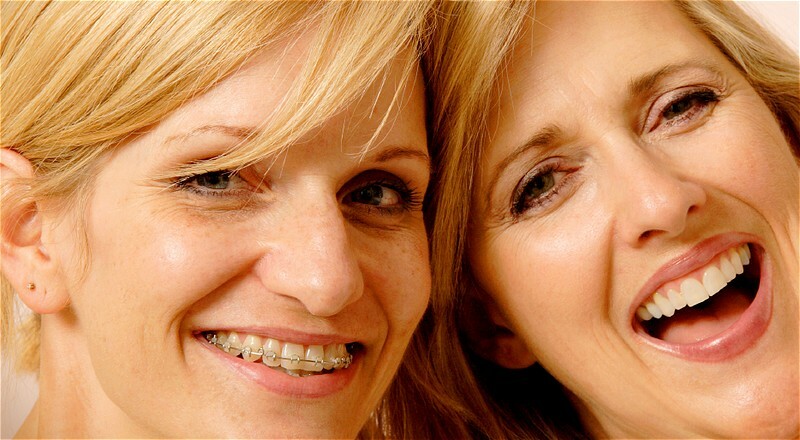 Ceramic braces utilize less noticeable brackets for patients concerned about aesthetic appearances. Ceramic brackets are translucent, so they blend in with your natural tooth color. This means that unlike traditional stainless steel braces, with ceramic braces your smile will not look 'metallic.' In addition, ceramic brackets are designed so that they won't stain or discolor over long periods of time. The average treatment time is 4-9 months with most patients being finished in 6 months. If your primary concern is straightening teeth in the "smile zone" this is an exciting and cost effective option for you! For more on 6 Month Smiles click the link below.